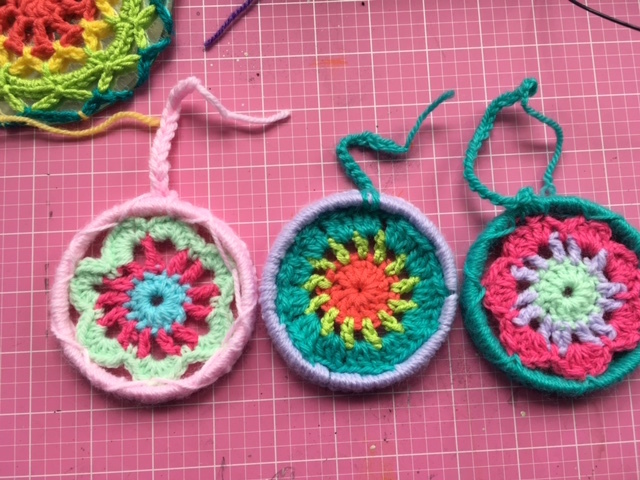 Mandalas for yarn bombing – free hoops! I never really know how best to title a post. Hopefully this one got your attention. One thing I am easily able to do is sit and knit or crochet. I can do it in the car on the way to appointments and while sitting in waiting rooms. A couple of knitting groups locally do yarn bombing – google it, it is colourful and cool. I’ve not made anything for past efforts but I thought I would have a go for the upcoming ones. I liked the idea of a mandala but also liked the idea of recycling stuff and not buying anything new for the project. I am not totally sure how the idea came to me, but in thinking of what might be used as the ring to attach and stretch the mandala I had an AHA! moment. Believe it or not, the rings are the rim cut from one of our endless supply of huge coffee cans from Costco. And while the edge of the rim is the choice piece. 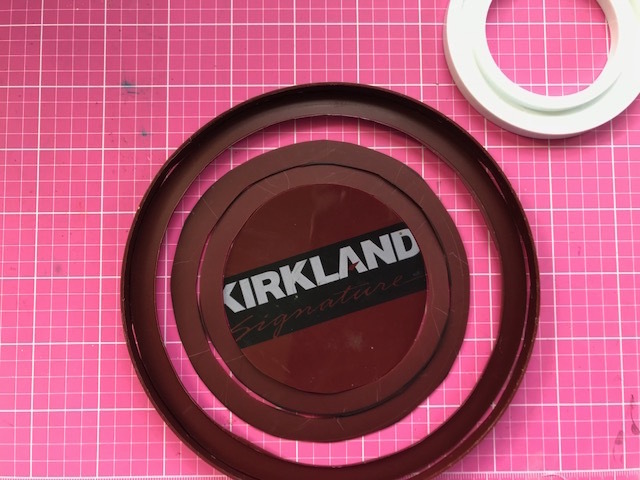 you can get other rings from the lid too. 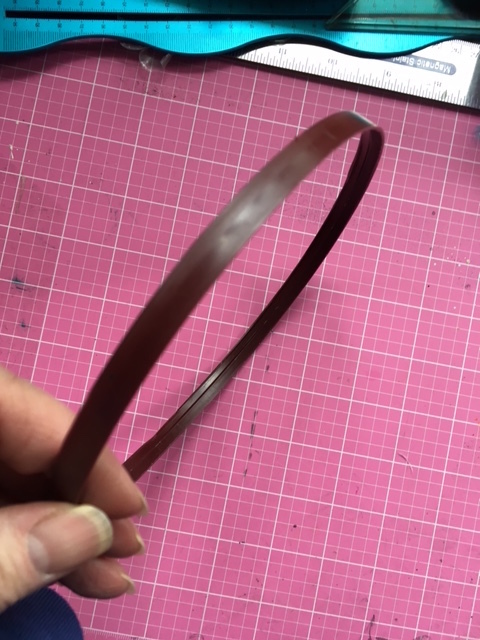 The inner rings are quite flat and less rigid, but they do more or less work. Quite small, those. I have a tub of Fage 0% Yogurt in the fridge and that lid is just about CD size so looking forward to seeing how that works out. 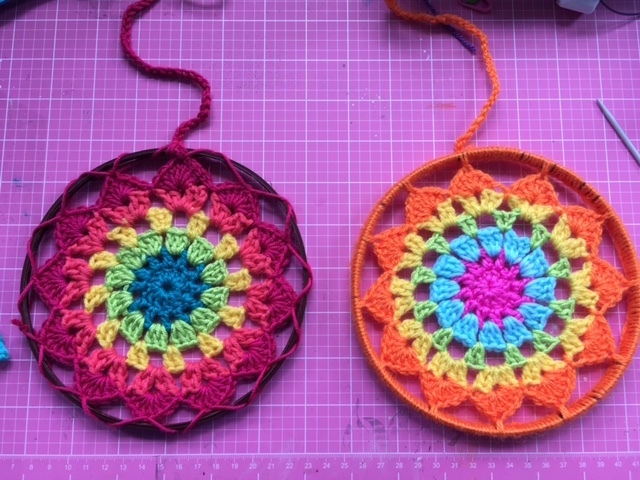 I did crochet and add some mandalas to the shiny side of a CD, and covered the back with a plain white label, so I didn’t have to use two CDs back to back and crochet two mandalas and they turned out quite nice as well. 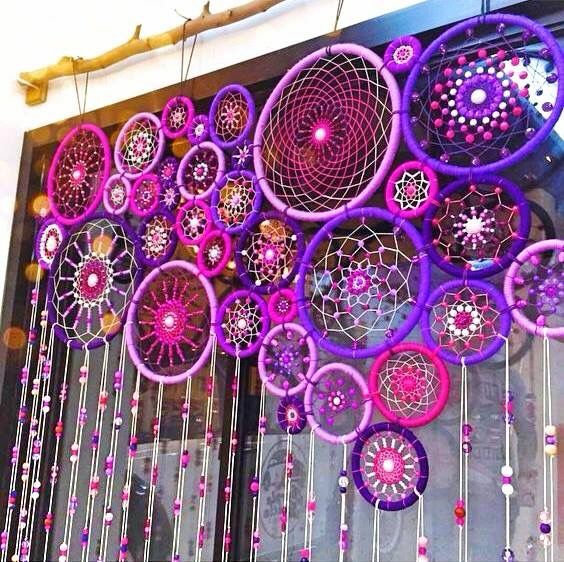 If I wanted to make this to go over a shop door, for example, it’d be pretty expensive to buy the rings. But a lot of those rings could work as the lid-rims. and what’s more, I might have a line on some big rims for massive pots. Not only cheap but using recycled things too! Win-Win. 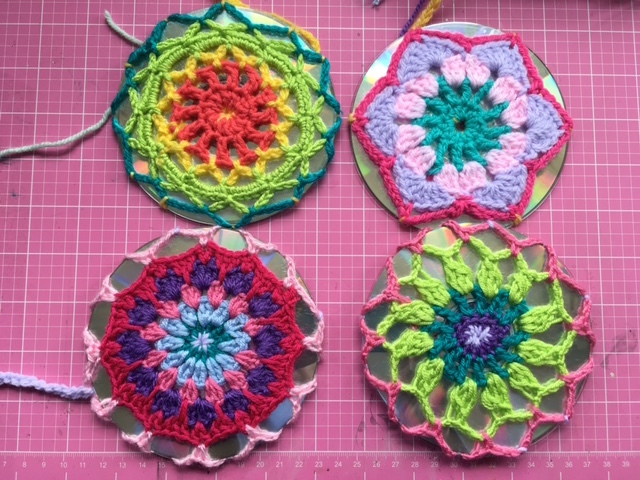 Bearing in mind this is all for outside yarn-bomb installations and not meant to be work for sale, I am pretty happy with where I am heading! Categories: art, crochet | Tags: Crochet | Permalink. Hi MaryAnne long time no see! 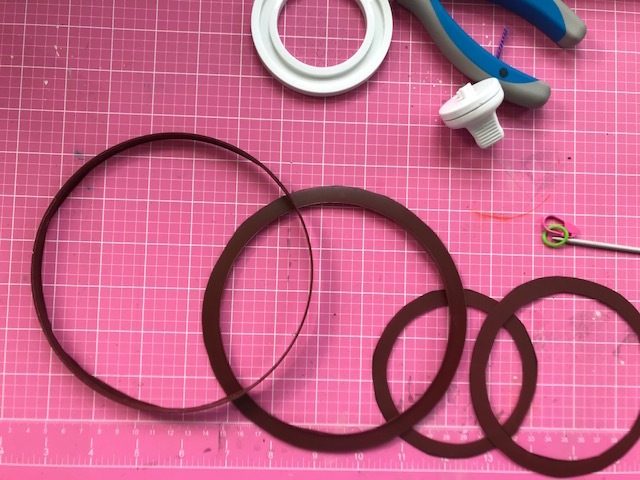 Love your ideas – yes pinterest is v frustrating with those weird go nowhere links. Esp when you want to credit someone. I have been saving the insides of red tape rolls – they are pretty small but you have kind of given me an idea!! So pretty TFS. Beautiful way to brighten things up around town!